We are delighted to announce the arrival of Cannondale Road, Hybrid, MTB and e-bikes. We have just unpacked a range of beauties and will show them off over the next few weeks. Cannondale began manufacturing aluminum racing and touring frames in 1983, with mountain bike frames added later. The earlier models sported oversized aluminum tubes for increased stiffness, resulting in frames that were super-stiff and super-efficient. 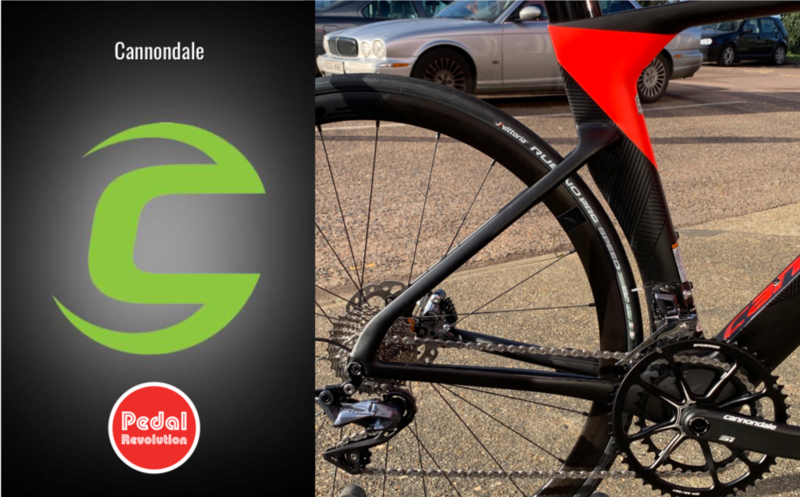 Later, carbon fiber composite frames were developed.Cannondale’s bicycle frame components were made in its factory in Bedford, Pennsylvania, but are now made in multiple factories in Asia. The first road frame from Cannondale was produced in 1983. It sold for $350 and included the frame and fork. The fork was steel with helical reinforcement ribs inside the steel steering tube. The frame was recognizable by its oversized down tube and enlarged head tube. The seatstays and chainstays were ovalized to reduce flex. Unlike steel frames, there were no lugs: the aluminum tubes were mitered, hand welded, and then heat treated. The first frames were available in two colors, red and white, and painted with DuPont Imron paint. Cannondale achieved the distinction of becoming the first high-volume producer of aluminum frames. Previously only steel frames were mass-produced, while aluminum frames were handmade in low volumes. In 1992 Cannondale introduced the 2.8 series frame based on CAD (computer aided design) and finite element analysis to make a frame weighing only 2.8 lbs. The 2.8 series featured a tapered large diameter down tube, double-offset bottom-bracket cluster, ovalized top-tube, and double-butted seat tube to achieve the weight reduction. The same year the 1.25″ Sub One all aluminium fork was introduced. Cannondale marketed subsequent frames with the CAAD designation (for “Cannondale Advanced Aluminum Design”) which first appeared in their mountain bike frame series. In 1997 the CAAD3 road frame was introduced featuring most of the design from the 2.8series. The CAAD4 model introduced S-bend aluminum seat stays for improved comfort. The Six13 model, which was introduced in 2004, used carbon tube sections in the main triangle, and still employs aluminum rear triangles. This arrangement is contrary to the usual industry practice of using carbon stay inserts and aluminum front triangle tubes. It should also be noted that the UCI has established a 6.8 kg (14.97 lb) minimum weight limit. Cannondale advertised this light weight frameset with the slogan “Legalize my Cannondale”. The current generation of Cannondale aluminum frame is known as CAAD12, which is the continued evolution of Cannondale’s welded aluminum frame design. In 2004 Cannondale released the Six13, a composite carbon/alloy frame that featured an alloy head tube, staysets, and bottom bracket junction mechanically and chemically bonded to carbon seat, down, and top tubes. This was the company’s first use of structural carbon composite material, and subsequent variants of the Six13 have used one to three carbon tubes depending on the price point of the model and the model year. Later, the Six13 line was expanded to include the Slice triathlon/time trial bike which employed similar alloy/carbon joinery with aerodynamically tapered tubes. In 2005, Cannondale announced its first all-carbon frame: the “Synapse.” At the time, Cannondale lacked the stateside facilities needed to produce such a frame. Cannondale’s SystemSix, which debuted in 2007, represented a more committed embrace of structural carbon than the company’s previous flagship roadbike, the Six13. The new bike’s entire front triangle, including the oversized asymmetrical head tube, was fabricated from carbon fiber. Furthermore, Cannondale’s Pennsylvania factory was upgraded with carbon storage, cutting, and layup equipment in order to prepare the company’s workers and physical plant for the SystemSix’s more complex carbon assemblies. The new equipment also provided the infrastructure needed to produce full carbon frames, which debuted on the SuperSix race bike. As of 2008, Cannondale’s carbon/alloy road frames include the Six13 and the SystemSix. The company’s full carbon road offerings include several variants of the Synapse and the SuperSix, Cannondale’s first U.S. manufactured carbon road model. The use of the numbers 6 and 13 in the model names is in reference to the atomic numbers of carbon and aluminum, the materials used to make the frames. Cannondale has also developed a suspension fork called the Lefty. It started with the “Headshok” (a.k.a. “Fatty”) forks. It uses 88 needle bearings to reduce friction for smooth travel with the bearings telescoping inside the steerer tube of the fork. This minimizes flexing of the fork legs and also reduces static friction, which must be overcome before the fork begins to travel. The “Lefty” is an unusual looking fork because it only has a left side or blade. It uses the same technology as the Headshok, but desire for greater amounts of travel led to the movement of the telescoping unit off to the side to allow room for the travel. It also allowed for more mud clearance as opposed to traditional forks designs. The Lefty is now seen on many of Cannondale’s high-end models, such as all the Scalpels, Rizes, and the expensive models in F series, both cross-country lines. Continual efforts at weight reduction have provided models with a carbon fiber upper tube and a titanium spindle. The titanium spindle was later replaced with a lighter and stiffer forged aluminum version. The carbon fiber upper continues to be used on the highest-end Lefties. The availability of repair and rebuild components and experienced service technicians for Cannondale forks is much less widespread than Fox, Manitou and Marzocchi designs. However some companies have recently begun to specialize in servicing Cannondale suspension and offer mail in service. This continues to limit the Lefty to mid and high end bikes. 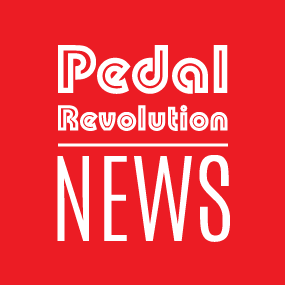 Numerous companies now produce adapters that allow the use of Leftys on virtually any mountain bike, with few limitations on choice of headset or stem. With these adapters, riders are free to choose their components and are not restricted to Cannondale house brands or Cannondale-specific parts. Lefty forks are also only compatible with disc brakes. Some of the benefits of the Lefty fork are that it is lighter and laterally stiffer (due to dual crown assembly). The Cannondale Lefty uses needle bearings instead of traditional fork bushings, which allow for more responsive feel, and do not bind under torsional pressures. Another unique trait is unlike a traditional front fork, the lefty allows user to change the inner tube or tire with the wheel still mounted on the bike. Enough to bore even your most nerd-like of bike friends on your next ride!